We are here to cut stone for you. 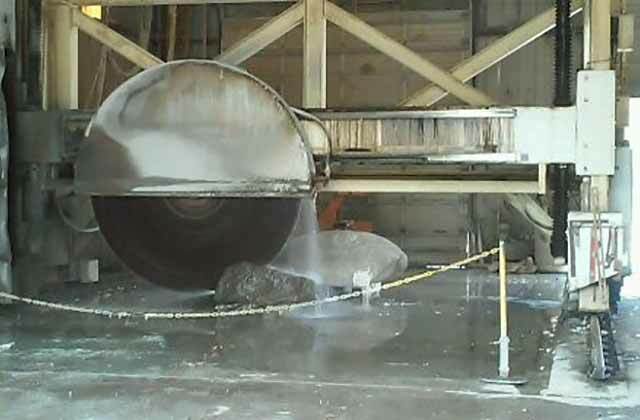 Our experienced stone craftsmen and our saws can cut huge stones of any kind for your project. This 6 foot wide and 4 foot tall High Cascade granite boulder is on the wire saw for a second cut. The stone itself weighed approximately 7 tons before cutting. 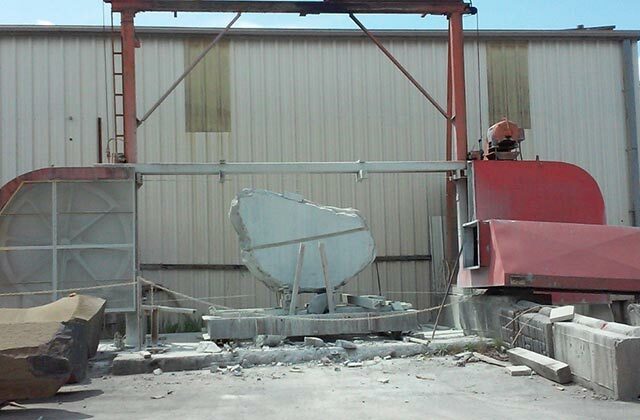 Our fabrication associates are skilled at handling large stones with the specialized equipment here in the Marenakos Fabrication Department.